Even an imperial elite force is not prepared for the demonic atrocities that the Shadowspear task force encounters in the wasteland of Nemendghast. And so the exploration tour on planet Vigilus culminates in the enraged battle between the Space Marines and the Black Legion. To make sure that the Daemonkin and the Vanguards arrive intact and ready for battle at the tabletop, here is the comfortable MAXI bag including custom foam for the safe transport of your miniatures. 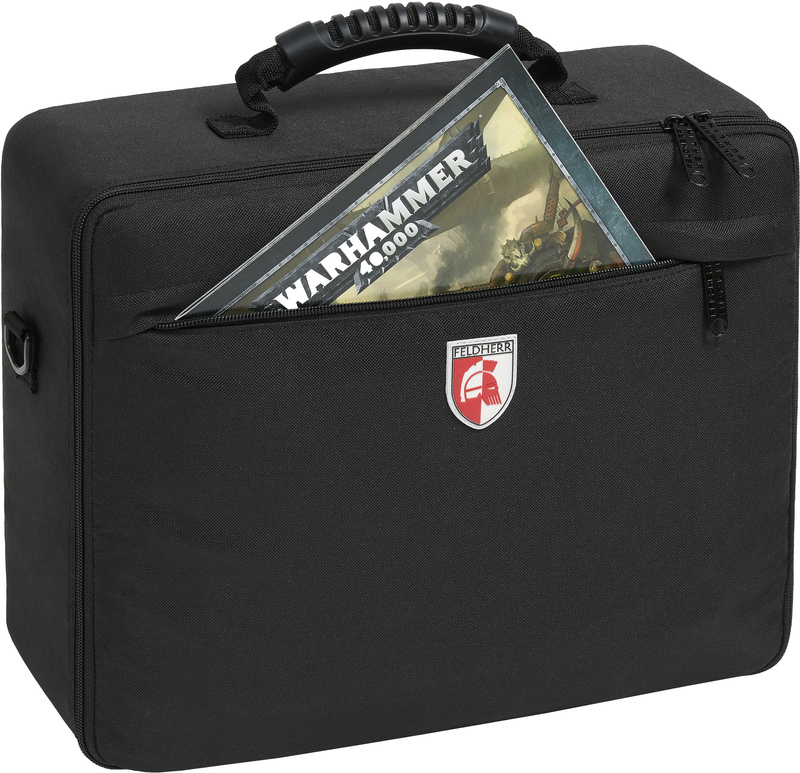 The set contains a total of five Half-Size inserts on which all 35 miniatures - both the Vanguard Space Marines and the Chaos Space Marines of the Daemonkin - can be stored safely and neatly. 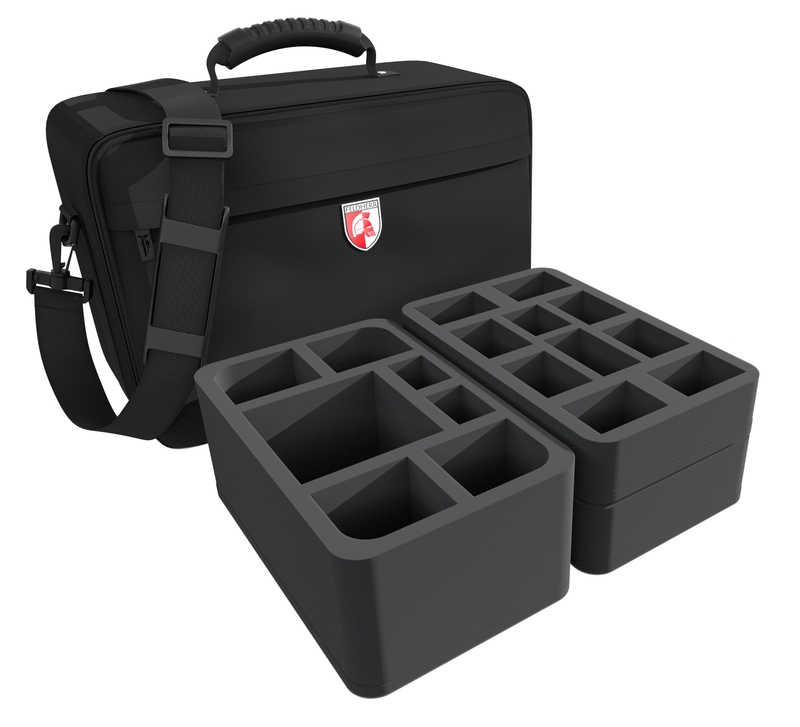 Obliterators and Greater Possessed are safe as well in the four medium-sized compartments. The two small compartments are filled with two Chaos Space Marines. 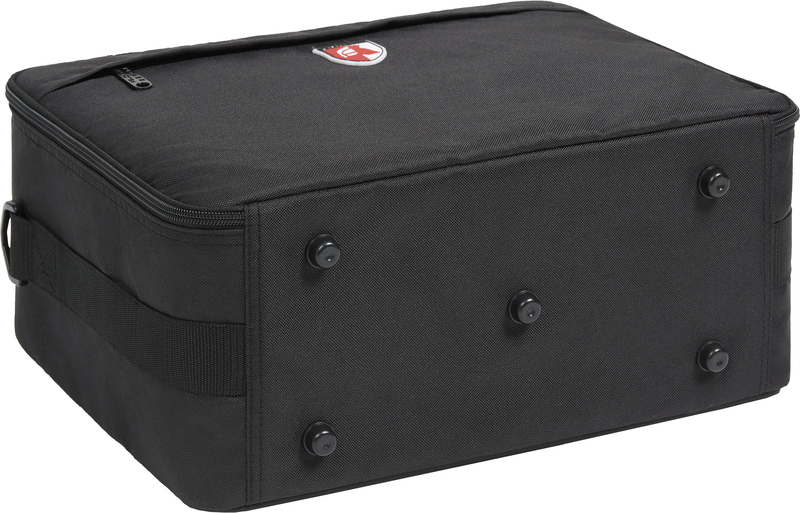 For the remaining warriors of the Black Legion and the Master of Possession, 10 compartments are reserved on one of the other inserts. The 19 miniatures of the Imperial elite troop get three foam inserts. 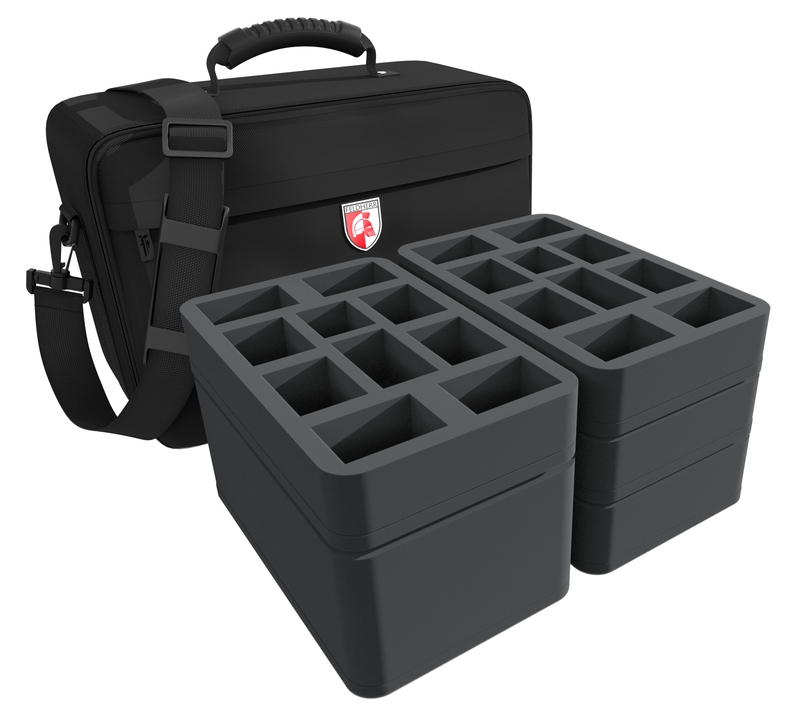 The insert with 6 large compartments offers space for the three Suppressors. A fourth compartment can be occupied with the Librarian in Phobos armor. Two compartments remain vacant for troop supplies. For the remaining Battle Brothers of your Vanguard - the Captain, the Lieutenant, the Eliminators and the ten Infiltrators - there are two more inserts in which each miniature finds its place. 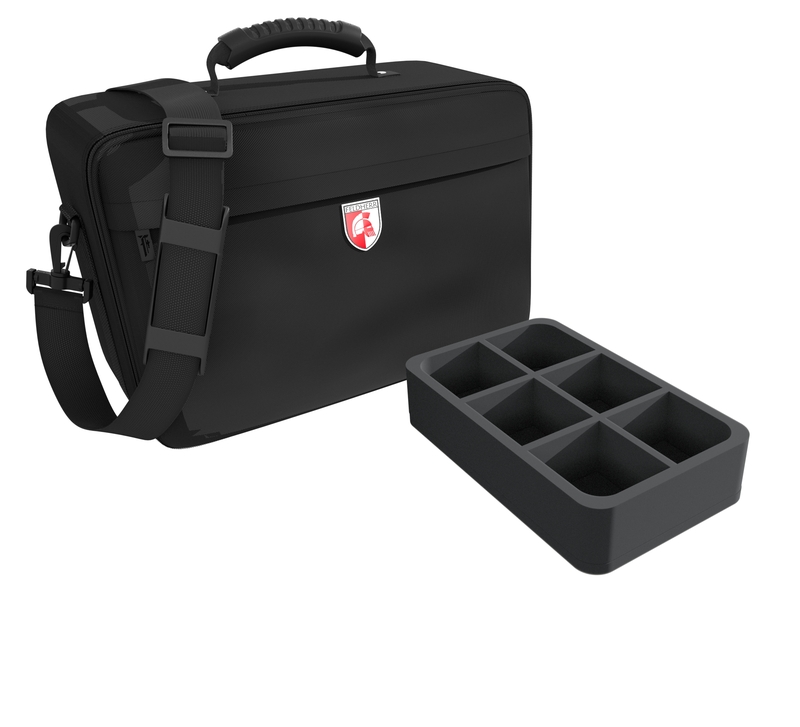 Here as well, five compartments stay free for further figures or accessories. Finally, the supplied convoluted foam topper ensures that the miniatures of the upper inserts are also securely packed all round. The comfortable MAXI bag is made of particularly hard-wearing material. 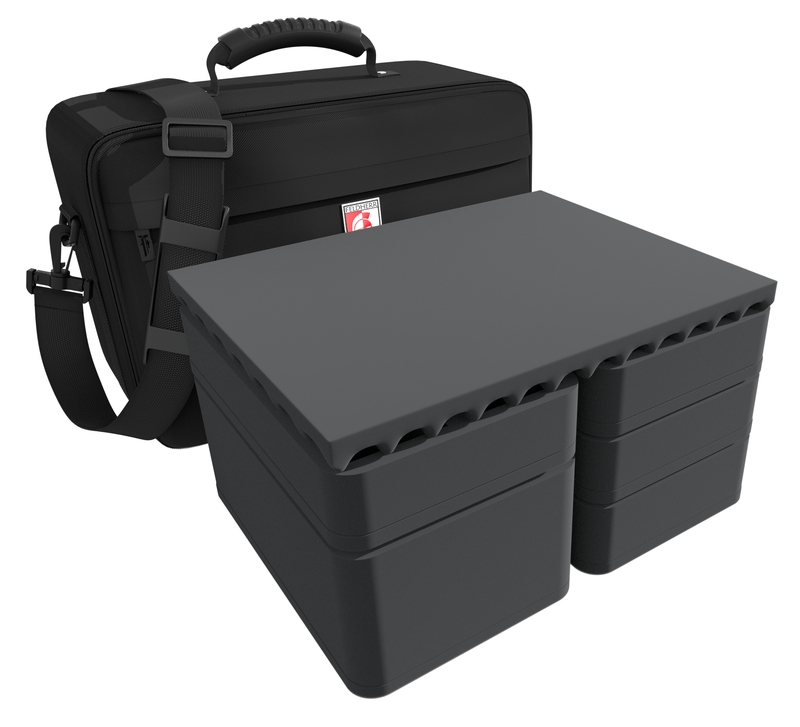 In addition, padded side panels and a reinforced bottom ensure that your miniatures are optimally protected from external influences even when transported by car or train. 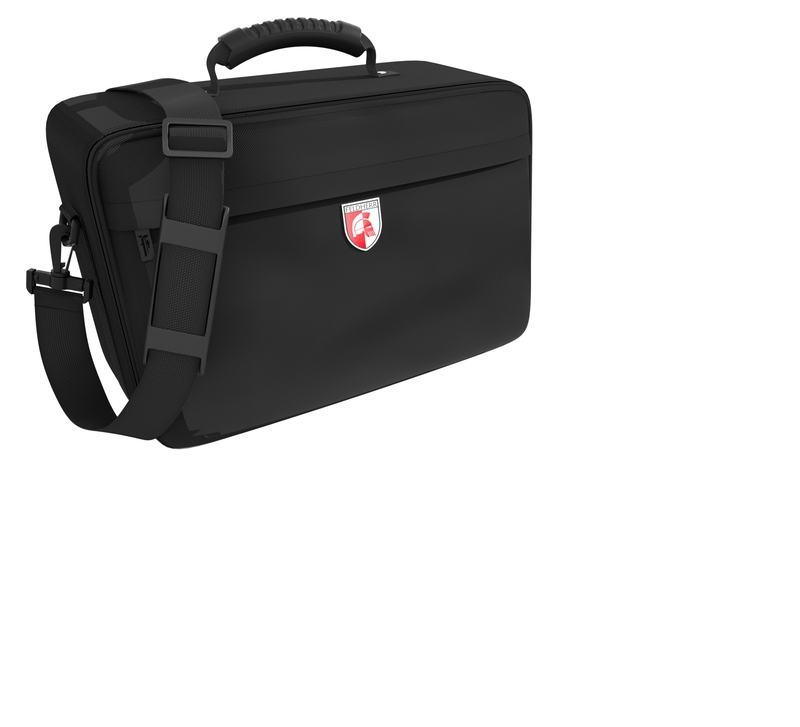 Besides the large main compartment, the bag also has a smaller pocket with a zipper at the front. Here you can stow the campaign book and the transfer sheets. 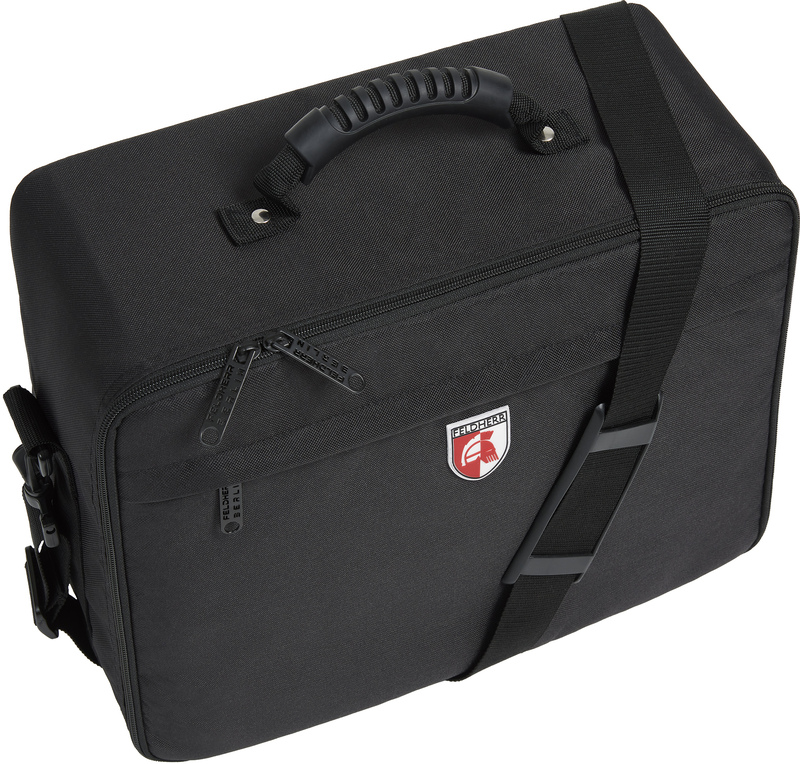 On the upper side there is a rubberized, easy-grip carrying handle. If you prefer to have your hands free, you can also use the bag as a comfortable shoulder bag thanks to the wear-resistant, detachable shoulder strap.